It wasn’t so long ago that your average airline ticket included not merely your flight but also meals, blankets, pillows, headsets and even alcohol. Today, you pay not only for all those extras, but for a lot more besides. American Airlines is stirring up some controversy for introducing a “Basic Economy” fare that, while cheaper than a standard Economy ticket, means passengers board the plane last and can’t use the overhead bins. @United continues to be the worst American airline by adding a charge to use overhead bins. Keep it up. How Much Do Airlines Make from These Fees? When the “buy-on-board” phenomenon began, many airlines reported it as being a necessary way to keep their costs—and your ticket price—down. As it became more efficient and more economical for airlines to drive sales away from travel agents and to websites and call centres, they also introduced new charges that included a fee simply for buying a ticket. Since then, all those little extras have worked out to be quite a line of revenue for most airlines. Last summer, IdeaWorksCompany, a customer-expectation research company, produced their “Top 10 2015 Ancillary Revenue Rankings” for the airline industry. After reviewing the financial documents of 135 airlines worldwide, the company listed out airlines’ revenue for everything but the actual ticket, including beer, snacks, seat selection and baggage charges. The insight: in 2015, those airlines earned a whopping US$26 billion from all those extras. The biggest earner was United Airlines, which scooped up $6.2 billion in extra goodies alone. They were followed by American Airlines ($4.7 billion) and Delta ($3.8 billion). The highest placed non-American airline was Air France–KLM, which earned approximately $2.16 billion. To underscore just how much money that is in the airline universe, IdeaWorks also rated airlines based on what percentage of their total revenue all those odds and ends make up. On top was Florida-based ultra-low-cost carrier Spirit Airlines, for whom ancillary revenue accounted for a staggering 43.4 percent of their entire revenue earned in 2015. That shouldn’t be surprising, however, as Spirit’s business model is to offer the least expensive airline tickets and leave passengers free to purchase whatever extras they want—which is basically anything and everything other than their seat. These extras include $3 for a soft drink or bottled water, $10 to have a boarding pass printed at the airport, $100 in each direction for the transport of an unaccompanied minor and varying fees for all checked bags and carry-ons (beyond one personal item). Spirit’s greatest revenue comes from checked baggage, followed closely by online and call-centre fees. 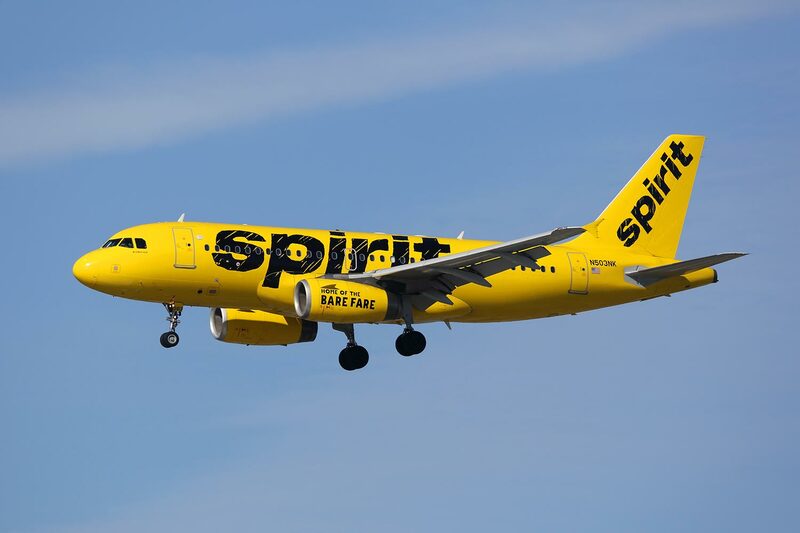 Despite all these extra costs, however, Spirit has grown its passenger load from 5.5 million in 2008 to more than 18 million in 2015, thereby suggesting there are a lot of travellers who like the concept of buying basic and customizing the rest, sort of like picking the toppings on your hamburger. While no Canadian airlines featured in the report’s published top 10 list, anyone who flies in Canada knows that many of its carriers have enthusiastically taken to the buy-on-board concept, and it’s not unusual to be quoted as much as CAD$7.50 for an imported beer or $6.95 for a glass of wine. Although no one in Canada has yet (quite) followed the example of Spirit Airlines, the recent arrival of NewLeaf Travel, whose flights are operated by Flair Airlines, does seem to be taking a page out of their book. Travel with NewLeaf can only be booked on their own website—meaning they don’t have to incorporate commissions or third-party fees into their prices, and they concentrate on flying to and from airports that are not the biggest—and therefore most expensive—in the country, such as Hamilton, Ontario, instead of Toronto, or Abbotsford, B.C., instead of Vancouver. Once customers have bought their seat, they can pay extra for priority boarding, seat selection, inflight snacks and beverages, checked luggage or a carry-on bag (though they’re entitled to bring one personal item into the cabin free of charge, as long as it can go under their seat and not in the overhead lockers), if they so desire. Whether the ultra-low-budget style of air travel will catch on in Canada the way Spirit has in the United States only time will tell—but for the first time Canadians do have the opportunity to choose, and if NewLeaf is a success, it’s likely other airlines will adopt at least some of their practices. Could Airlines Start Weighing Passengers Before They Board?